One of the world’s leading pediatric heart surgeons, Charles Fraser, Jr., MD, will become chief of pediatric and congenital cardiothoracic surgery at Dell Children’s Medical Center of Central Texas, part of Ascension. Fraser, who will also join the faculty of the Dell Medical School at The University of Texas at Austin as professor in the Departments of Surgery and Perioperative Care and Pediatrics, will play a leading role in building the Texas Center for Pediatric and Congenital Heart Disease, a focused pediatric and congenital heart program that will offer Central Texans care for complex conditions close to home. “Dr. Fraser is known for his disciplined approach to improving outcomes for every child he treats,” said Christopher Born, Dell Children’s Medical Center president. “He will oversee the development of a comprehensive program with an integrated care team of cardiologists, pediatric heart surgeons, perfusionists, anesthesiologists and critical care providers who are trained and experienced in all aspects of the most complex congenital heart conditions. “Our heart program has advanced tremendously since it began in 1988, and Dr. Fraser’s hiring ensures children and their families will receive the highest quality care, as well as the healing benefits of care close to home,” Born said. The new Center will leverage the power of the partnership between Dell Children’s, Dell Medical School and the University of Texas. Fraser is returning to his alma mater after 23 years at Texas Children’s Hospital in Houston, where he was senior surgeon of its congenital heart surgery program. He served as surgeon-in-chief, leading more than 100 surgeons. Over the course of his illustrious career, Fraser has performed more than 10,000 heart surgeries, refining techniques in the treatment of infants, children and adults with congenital heart disease. He is widely regarded as the successor to Houston heart surgery and artificial heart implantation pioneers Michael DeBakey, M.D., and Denton Cooley, M.D. 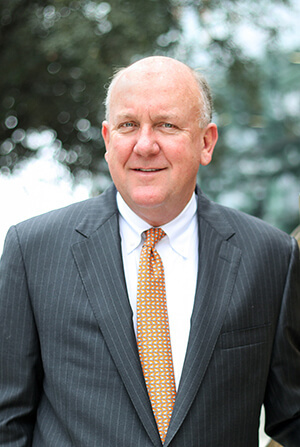 At UT Austin, Fraser plans to teach students at Dell Medical School and also continue his cutting-edge research, which centers on surgical outcomes and quality, circulatory support, brain protection and bioengineering as a way to correct congenital heart defects. He studies neurologic outcomes after heart surgery in children as well. Fraser graduated from UT Austin and received his medical degree from the University of Texas Medical Branch in Galveston. He completed a surgical residency at The Johns Hopkins University School of Medicine, a pediatric heart surgery fellowship at Royal Children’s Hospital in Melbourne, Australia, and a heart surgery residency again at Johns Hopkins.